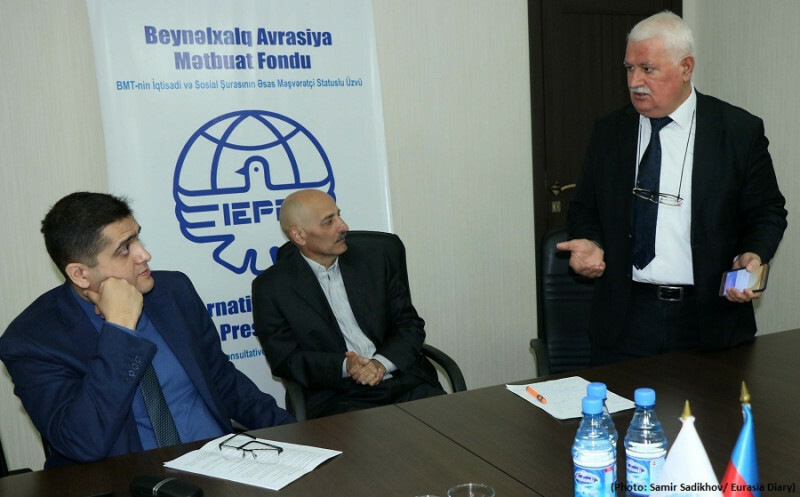 Today, the International Eurasian Press Fund hosted the press conference with the participation of Azerbaijani political analyst Elkhan Shahinoglu and non-governmental organizations and journalists. 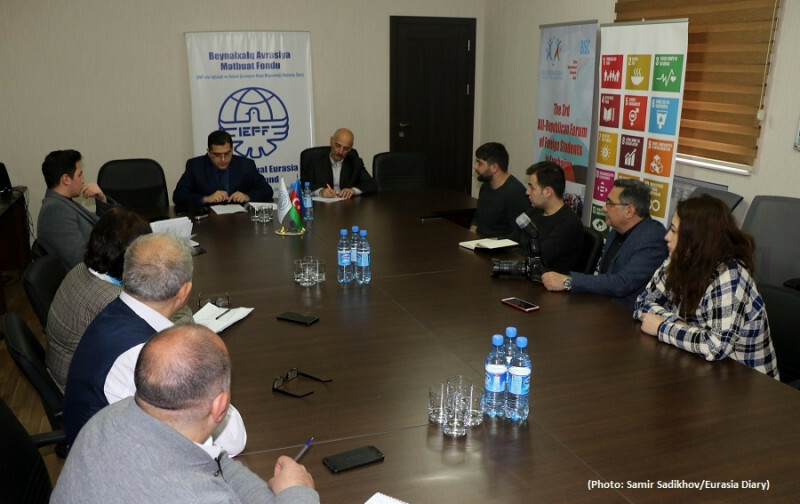 The topic of the conference was "Karabakh talks on the background of new regional challenges." Elkhan Shahinoglu analyzed the latest actions of Pashinyan and the aim stands behind of Armenian PM's policy. Elkhan Shahinoglu stressed that the position of Pashinyan changed when he became the Prime Minister of Armenia. He performs a tough position which leads to an increase of pressure by Azerbaijan. 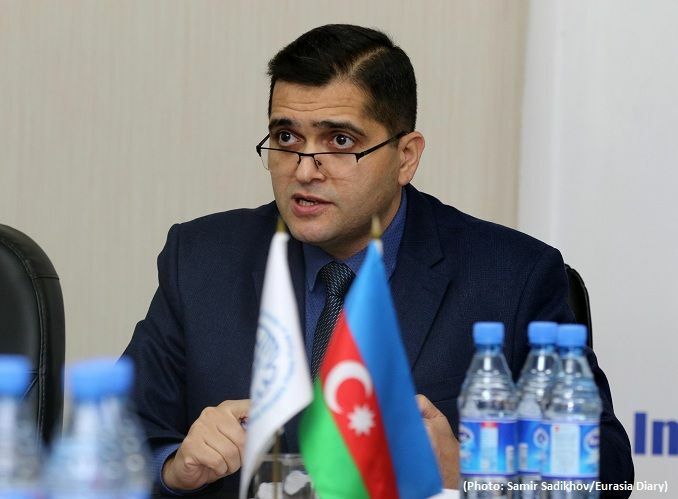 Azerbaijan blocked Armenia in a series of regional projects. Armenia has not enough economical resources, and none wants to give credits to Armenia. Shahinoglu considers that he fears internal pressure. Because during this period of time Pashinyan couldn't achieve his goals, he couldn't do what he swore. "Nikol Pashinyan met two times with Azerbaijani counterpart Ilham Aliyev. In both meetings after the talks, Pashinyan shared videos that he didn't talk certain things over Nagorno-Karabakh. 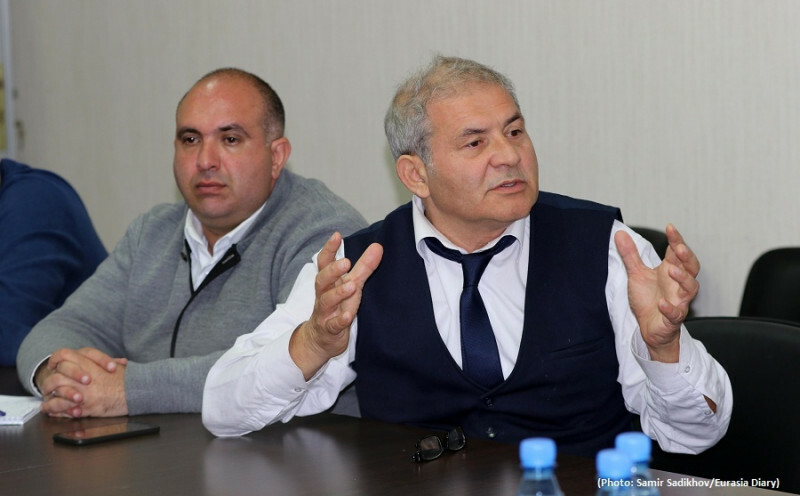 That means Pashinyan obviously fear internal powers," Shahinoglu stated. "Day by day his approval rate declines, maybe this summer huge discontent will arise against him," Elkhan Shahinoglu thinks.